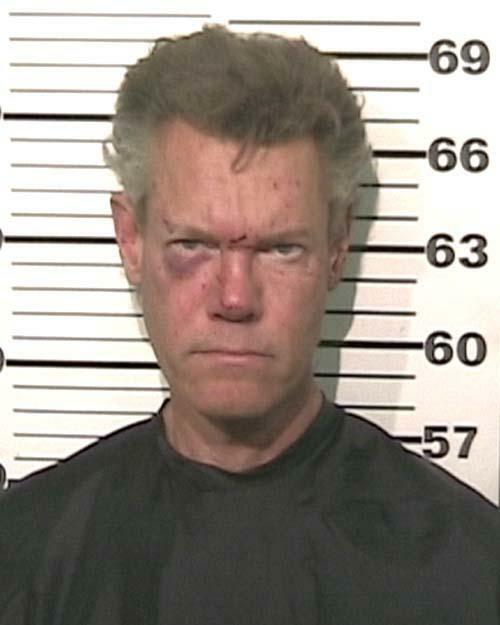 Country music star Randy Travis was busted by Texas cops in August 2012 and charged with driving while intoxicated and threatening law enforcement officers. According to the Texas Department of Public Safety, Travis was found naked at the scene after crashing his car. The 53-year-old Grammy winning performer also allegedly made threats against the troopers who arrested him. Travis was booked into the Grayson County jail where he posed for the above mug shot before posting $21,500 bond.